Tuberculosis (TB) is an infectious disease caused by bacteria that is spread through the air when someone with contagious TB coughs, sneezes, sings or talks. It mainly affects the lungs and airways but can also affect other parts of the body. TB can be either latent (where TB bacteria are inactive in the body, not causing symptoms and cannot be spread to others) or active (where TB bacteria are active, causing symptoms and can be spread to others). Latent TB and active TB are diagnosed using a combination of tests that often includes either a tuberculin skin test, or a interferon gamma release assay (blood test), sputum testing, and a chest x-ray. Both latent TB and active TB can be treated with antibiotics. Left untreated, latent TB can develop into active TB. Active TB can be fatal without medical treatment. For most people in Canada, the risk of developing active TB is very low. However, the rates of active TB are higher among Canadian-born Indigenous people, and higher still in Inuit communities. The rate of TB among Inuit in Inuit Nunangat was over 300 times the rate of Canadian-born non-Indigenous people in 2016. This high rate is rooted in multiple factors, including inadequate housing, food insecurity, poverty, stigma, and the enduring impacts of government-led TB control measures during the 1940s and 1950s that transported south many Inuit by ship to TB hospitals thousands of kilometers away from their families and communities. Those who survived did not return home for several years. In some situations, the fate of those who did not return remains unknown. In 2016, there were approximately 65,000 Inuit living in Canada. Almost three quarters (72.8%) live within four Inuit regions in Canada, collectively known as Inuit Nunangat. The Inuit Regions are the Inuvialuit Settlement Region in the Northwest Territories (NWT), Nunavut, Nunavik (the Northern region of Quebec), and Nunatsiavut (the Northern region of Labrador). Although there are some significant differences in health status throughout Inuit Nunangat there are also some common themes across the four regions. 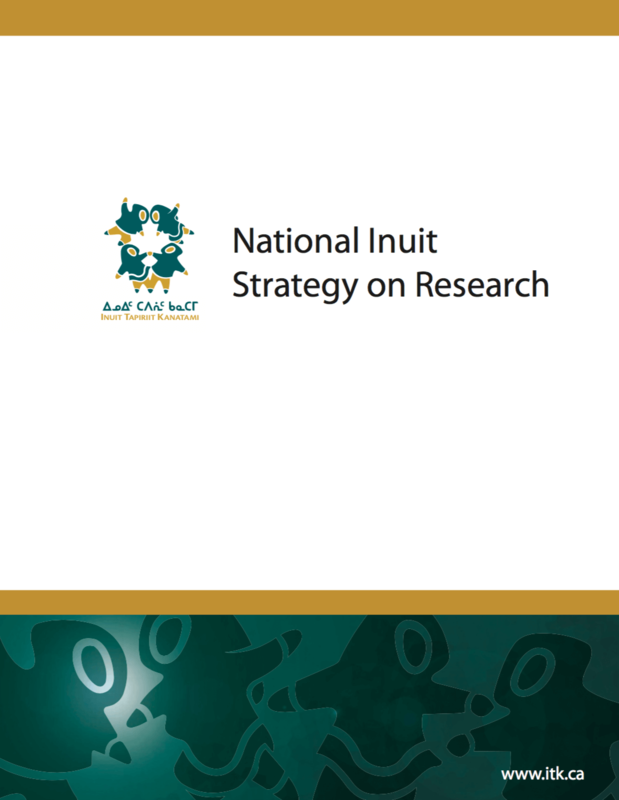 According to Inuit Tapiriit Kanatami, life expectancy for Inuit is 10 years lower than the Canadian average; 52% of Inuit live in crowded homes; food insecurity is widespread; and 52.5% of Inuit are unemployed. The Government of Canada is committed to working collaboratively with provincial and territorial partners and Inuit leaders to address health and socio-economic factors contributing to the high incidence of active TB among Inuit. In 2013, Inuit Tapiriit Kanatami developed the Inuit-specific Tuberculosis Strategy to increase awareness of the need for more effective approaches to TB prevention, control and care, and to present a path forward for reducing the rate of active TB in Inuit Nunangat. The Government of Canada and Inuit leaders met in September 2017 under the Inuit-Crown Partnership Committee and pledged to establish a Task Force to eliminate TB across Inuit Nunangat. The work of the Task Force will build on the results of ongoing engagement with Inuit, including the work of the Inuit Public Health Task Group, which is comprised of Inuit representational organizations, as well as federal, provincial and territorial public health officials. The Task Force is developing a national TB Elimination Action Framework. 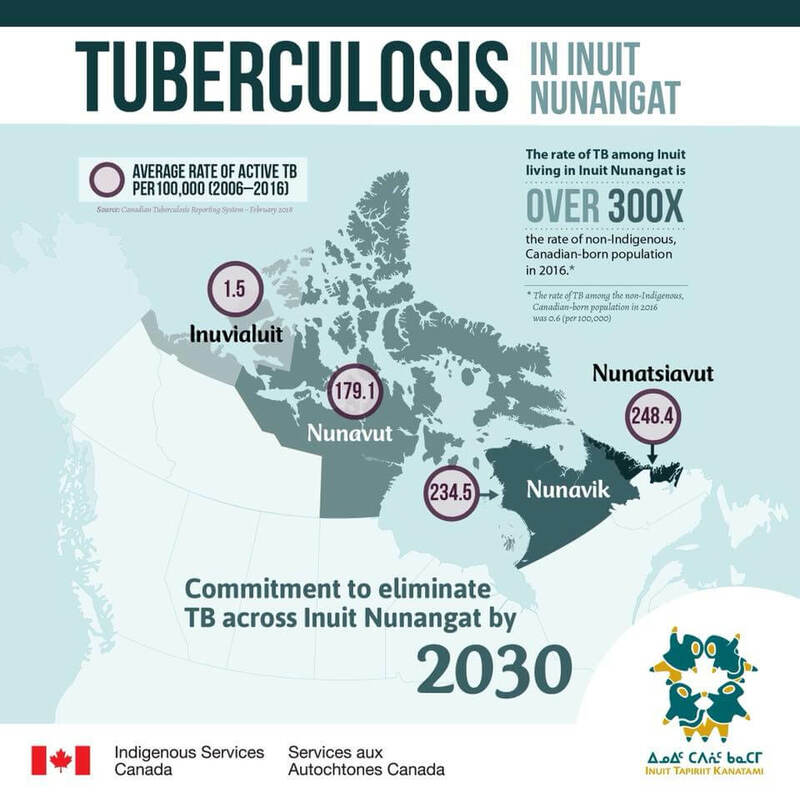 In addition, each of the four Inuit Nunangat regions will develop an action plan to eliminate TB across Inuit Nunangat by 2030, with reduction of at least 50% of active TB by 2025. Enhanced efforts to reduce latent TB and active TB have already begun. The Government of Canada is currently assisting the Government of Nunavut to respond to TB outbreaks for example, by investing in the purchase of rapid TB diagnostic technology and facilitating timely access to rifapentine, an antibiotic used in the treatment of latent TB.Using rifapentine for latent TB can substantially reduce the time it takes to complete treatment compared with other antibiotics currently available for this purpose. In Nunavik, federal-provincial collaboration has led to the development of a training program for nurses working in Inuit communities. The program covers TB prevention, screening and treatment. Nunavik has also developed products to increase youth awareness of TB and has mobilized additional field epidemiologists. In Nunatsiavut, a TB Expert Group has begun developing a TB elimination plan, End Tuberculosis in Nunatsiavut – From Here to There, which will include a five-year regional action plan. TB affects over 10 million people around the world each year. In 2016, there were 1,737 cases of active TB reported in Canada, an incidence rate of 4.8 cases per 100,000 people. In 2016, Canadian-born Indigenous people had an incidence rate of 23.5 cases per 100,000 people. In 2016, the incidence rate within the Inuit population was 170.1 cases per 100,000 people. In cases reported in Canada in 2015, 85% had been cured or had completed treatment. The rate of TB among in Inuit Nunangat was more than 300 times the rate of Canadian-born non-Indigenous people in 2016. Canada Communicable Disease Report: Can we eliminate tuberculosis?